BEYOND DARKNESS: Spaghetti Spookiness Goes South – Schlockmania! Claudio Fragasso has achieved a new prominence amongst bad movie buffs in recent years thanks to his memorable appearance in the documentary Best Worst Movie. That film dealt with the cult that has risen up around the eccentric Italian trash classic Troll II, which was directed in a feverish yet incoherent manner by Fragasso. One of his actors in that film was Michael Stephenson, who grew up to direct Best Worst Movie. 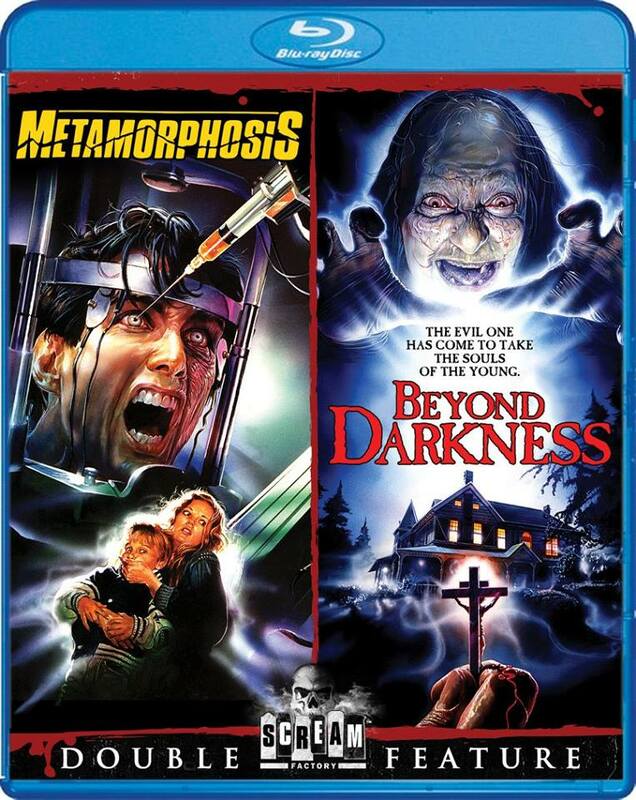 They also worked together between those two films on another shot-in-the-U.S. horror opus, Beyond Darkness. It’s not as unforgettably weird as Troll II but it shares a lot of the eccentric DNA that made up that bizarro-world classic. Beyond Darkness begins with a man of the cloth, Father Peter (Gene Le Brock), moving his wife and two kids into a nice home in a new parish. The moment they’re settled in, a variety of spooky things start happening. He soon realizes the house wants to consume the souls of all in it – and the only person who can help him is George (David Brandon), an old seminary classmate who has abandoned his faith for alcoholism. 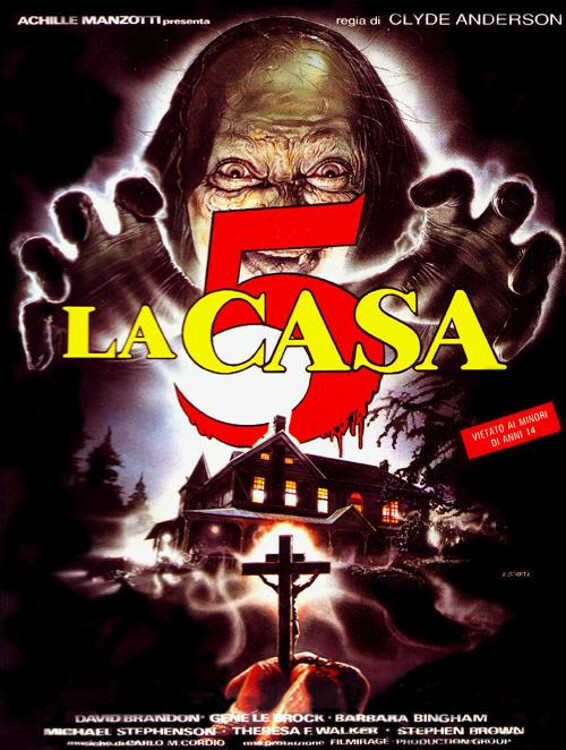 Beyond Darkness is a typical shot-in-America Italian horror production effort from this era: an array of American amateur actors, a plot that cribs heavily from American hits like Poltergeist and The Amityville Horror and location shooting in an affordable U.S. location – in this case: Louisiana (they use the same house from The Beyond!). It also has a bizarre sensibility about what is scary: at one point, the family is menaced by an out-of-control vintage radio. Fragasso throws himself into the task with energy, creating a film that gradually transforms into a series of Fulci-inspired “real or not” setpieces where the house bedevils its inhabitants and tries to pull them into the spirit world. The results are never really convincing or scary but boy, do they go over the top in trying to achieve scares. The mixture of dead serious intentions and clubfooted acting is amusing but it’s never as memorably weird as Troll II – and its bombastic nature is likely to wear the viewer out unless they are a true Italo-trash addict. Thus, Beyond Darkness is best left to the fans of this sort of late-in-the-game Italian genre weirdness – but those in that select group will get their money’s worth of bargain basement surreal horror here. Blu-Ray Notes: Scream Factory recently released this title as part of a two-for-one blu-ray alongside Metamorphosis. The transfer is stronger on color than it is on detail but the results are a slight improvement on the SD versions. The 2.0 DTS soundtrack can sound a little harsh, with noticeable sibilance, but the dialogue, effects and music are clear throughout. The one extra is a trailer.